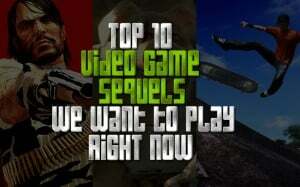 10 Video Game Sequels We NEED (Updated) | Nerd Much? Every so often there are shining moments in gaming history in which a great game comes along, and then simply passes. Sometimes, even though a video game is great, it comes and goes without a sequel. 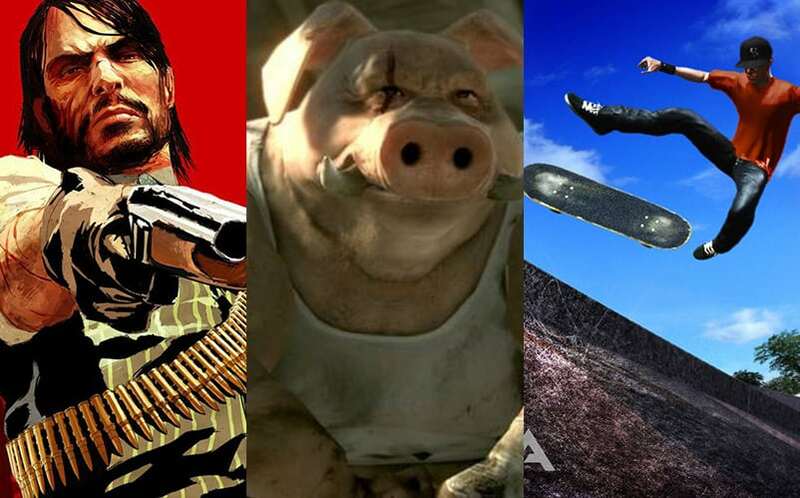 Of course, not every game deserves a cacophony of yearly installments, but there is always going to be that handful of awesome games that merit one or two sequels. Have you ever played a game, loved it so much, and then years later wonder what the hell ever happened to it? Why was there no sequel? Of course you have — we all have. Here is a list of the top 10 video game sequels we want to play right now, chosen from some of the old video games we haven’t had enough of. The first on our list of video game sequels we want to play is a game that’s expected by many, and for good reason. Beyond Good and Evil 2 is the reason most gamers have trust issues. From announcement trailers to mentions of its development, and then years of silence, this elusive sequel remains a mystery. Originally helmed by the folks at Ubisoft, the dev team and directors behind it have changed hands over the years. The latest we’ve heard about Beyond Good and Evil 2 was that the game was far into development and targeting a release of the Xbox One and PS4. However, this was back in 2011. We haven’t received an update since. 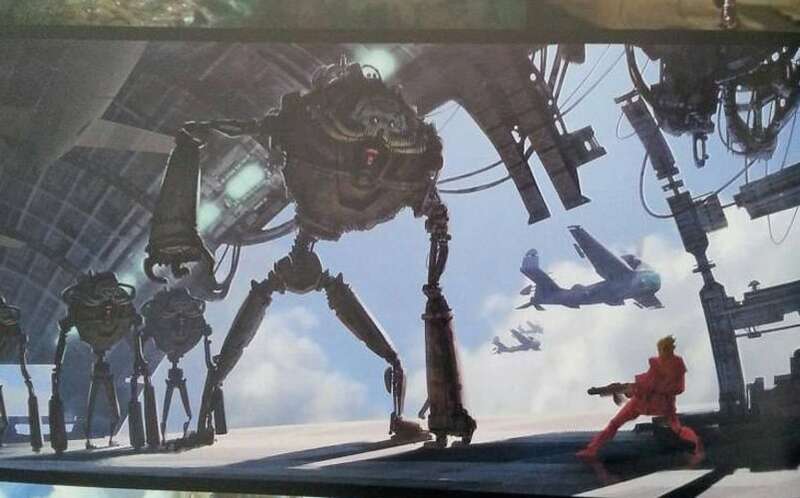 It seems that this hit may be lost, and the HD remake released years ago will be the closest thing we get to BGE2. In a world filled with realistic shooters and drab post apocalyptic themes, diving back into a wacky cartoony universe like the world of Jak and Daxter would be a welcome reprieve. While at times dark and suspenseful, the colorful world of Jak has always been a fun one. Simple, fun gameplay paired with loveable and hilarious characters made for a great experience. Jak and Daxter 4 has been thrown around by devs, and quickly cancelled, which may have been for the better considering the creepy realistic style that the devs at Naughty Dog were considering going with. Being a child of the early 90’s, I was too late to enjoy the original Metroid, with my first foray into the classic franchise being Metroid Prime. I was instantly enthralled by the otherworldly locales, fast paced gameplay, and seemingly boundless exploration. In recent history, Metroid hasn’t seen its best days, especially after the flop that was Other M.
During Nintendo’s E3 digital presentation, Metroid Prime: Federation Force for 3DS was announced for 2016, but that’s not what we want. At all. Hopefully, Nintendo is just trolling us all and has a new Metroid game in development for a console (whether it be the Wii U or the upcoming Nintendo NX). When first booting up Vampire the Masquerade, I didn’t know what to expect. But after playing for hours, I couldn’t remove myself from this incredibly odd and dark world I had fallen into. The game was not without its faults, but it was in no way unplayable. The closest fans got to a sequel was the ill fated MMO City of Darkness, which was cancelled before it even saw the light of day. Only time will tell whether or not interest in this genre will spark a sequel, especially after what Hollywood has done to the vampire. The beautiful artstyle and fluid gameplay of Okami made it an instant classic among gamers. Despite its lackluster handheld installment, Okami never really got a proper console sequel like an Okami 2. Coming from developer Kamiya, one of the brilliant minds behind titles such as Bayonetta 2, seeing an Okami 2 may be an impossibility. Clover studios, the studio behind Viewtiful Joe and Okami was closed by Capcom in 2007. It’s doubtful that a new developer could bring the same uniqueness to the game, but you never know. In this Noir style who-dunnit by Rockstar Games, gamers had the chance to step into new space. With the L.A. Noire game, no longer were fans blowing up cars, evading police, or completing missions. Instead, we were using our skills of deduction. As detective Cole Phelps, players went from walking the beat to becoming one of LA’s top homicide detectives, all the while chasing a serial killer at large. Another installment that takes place in New York City, San Francisco, or even Miami on Xbox One and/or PS4 would be thrilling, to say the least. Hopefully, Rockstar Games takes a break from the Los Santos lifestyle and takes us back to the classics with an L.A. Noire sequel. Manhattan Noire, anyone? Another departure from the run of the mill GTA installment, Red Dead Redemption took gamers on an intense and expansive journey to the wild west. As John Marston, we fought off bandits, played five finger fillet, and ran from the occasional mountain lion. Rockstar Games’ straightforward western was even turned on its head following the Undead Nightmare DLC, turning the west into a zombie-ridden hellscape. This is another game with no apparent plans for a sequel, and it seems we must keep our fingers crossed. There are plenty of rumors out there, but unfortunately, none of them seem to hold any merit. But, a Red Dead Redemption 2 has to happen at some point, right? RIGHT?!? **Update: Obviously, we now know that Red Dead Redemption 2 is actually on the way soon! This incredible role playing series needs little introduction. Brought to us by Bioware and then Obsidian, the KOTOR games have been incredibly popular favorites among Star Wars fans. Featuring deep narrative, player choice, and the ability to create your own Sith or Jedi, these are some of the greatest rpg games ever made. Seriously, what happened to BMX games? With the recent announcement of the return of the Tony Hawk franchise, perhaps we are seeing the resurgence of action sports gaming. I have longed to take to the half pipes of Camp Woodward as the “Slim Jim Guy,” crazy hair and all. There have been virtually no mentions of plans to bring the Dave Mirra BMX series back to life, and aside from indie projects on Steam, there are no alternatives. Maybe the BMX gods will answer our prayers one day, but until then, it appears the closest thing we’re going to get is Tony Hawk’s Pro Skater 5. The original Skate filled the void left by the decline of the Tony Hawk games. With a fresh approach to controls and gameplay, it provided enough new content to garner a new generation of fans. All of this coupled with a fun soundtrack and realism, Skate really came into its own. The developer studio, Black Box, is now defunct, but hopefully we will see EA bless us with a Skate 4, and you can bet your board it’ll be called something like Sk4te.